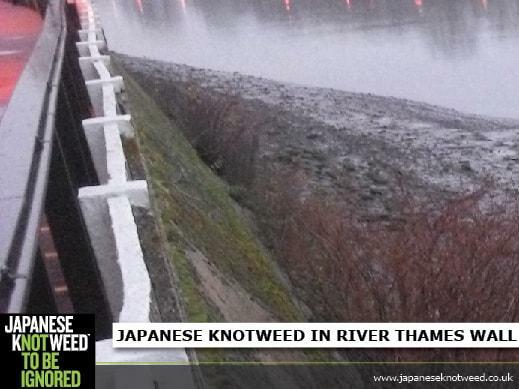 Japanese Knotweed Ltd recently received instructions from a client to visit a site beside the River Thames. Our surveyor arrived at the site and found Japanese Knotweed growing along the top of a retaining wall, which was supporting the property along the bank of the river. The knotweed was also growing from lower down the wall, between the gaps in the masonry and the only access to the lower knotweed was from the river. Japanese Knotweed Ltd were recently contacted by a communications company regarding Japanese knotweed situated in a small fenced compound in Barry, South Glamorgan, Wales. We came up with a perfect solution to remove the knotweed utilising the skills and knowledge of our experienced operations team based in Wales. Would you be able to identify Japanese Knotweed in the grounds of a property? What if you are purchasing a house during the spring, how different would Japanese Knotweed look compared with how it looks in the summer? Japanese Knotweed Limited recently worked alongside our client in South Wales to meet the demands of a rail side night working contract. When clients are working on rail and road networks, they are often contracted to complete works during the night in order to minimise disruption. 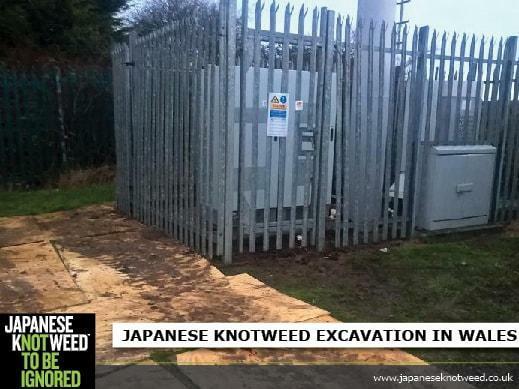 Japanese Knotweed Ltd provides a nationwide service with qualified and experienced staff to undertake night shift work.